Bu araştırma bir araştırma hastanesi cerrahi kliniklerinde, Şubat-Mayıs 2016 tarihleri arasında araştırmaya katılmayı kabul eden 207 hemşire ile yapıldı. Araştırmada veri toplama aracı olarak sosyo-demografik özellikler formu ve mesleki tatmin, tükenmişlik ve merhamet yorgunluğu alt boyutlarından oluşan Çalışanlar İçin Yaşam Kalitesi Ölçeği kullanıldı. Sosyo-demografik özelliklere göre oluşturulan gruplar (cinsiyet, medeni durum vb.) arası karşılaştırmalar normal dağılımlar için İki Ortalama Arasındaki Farkın Önemlilik Testi (Independent Samples T test) analizleri kullanıldı ve normal olmayan dağılımlar için Mann-Whitney U testi ve Kruskal-Wallis Testi kullanılarak yapıldı. Araştırma sonucunda hemşirelerin yaşları arttıkça mesleki memnuniyet oranının da arttığı, kadınların mesleki memnuniyet oranının, erkeklerin ise tükenmişlik oranının daha yüksek olduğu, eğitim düzeyi düştükçe mesleki memnuniyet oranının azaldığı ve merhamet yorgunluğunun arttığı bulundu. This research was carried out with a total of 207 nurses who agreed to participate in the study in a research hospital surgical clinics between February and May 2016. The data collection tool used was the socio-demographic characteristics form and the Quality of Life Scale for Employees, which consist of the sub-dimensions of occupational satisfaction, burnout and compassion fatigue. As a result of the study, it was found that as the age of increased, the rate of professional satisfaction increased, the rate of job satisfaction was higher for female and the rate of burnout was higher for men, the lower level of education was cause lower professional satisfaction and higher compassion fatigue. Zohar, D., Marshall, I. (2004). Contacting Our Spiritual Intelligence. Meta Bookstore. Curtis, K. (2015). Compassion is an essential component of good nursing care and can be conveyed through the smallest actions. Evid Based Nurs, 18(3), 95. Blomber,g K., Griffiths, P., Wengström, Y., May Bridges, J. (2016). Interventions for compassionate nursing care: A Systematic Review. Int J Nurs Stud, 62, 137-155. Christiansen, A., O’Brien, MR., Kirton, JA., Zubairu, K., Bray, L. (2015). Delivering compassionate care: the enablers and barriers. Br J Nur,. 24(16), 833-837. Flarity, K., Gentry, JE., Mesnikoff, N. (2013). The effectiveness of an educational program on preventing and treating compassion fatigue in emergency nurses. Advanced Emergency Nursing Journal, 35(3), 225-247. Slatten, L., Carson, DK., Carson, PP. (2011). Compassion fatigue and burnout: what managers should know. The Health Care Manager, 30(4), 325-333. MESH. National Library of Medicine medical subject headings. https://www.nlm.nih.gov/cgi/mesh/2016/MB_cgi. Accessed date: 14.9.2017. Sabo, BM. (2006). Compassion fatigue and nursing work: can we accurately capture the consequences of caring work? Int J Nurs Pract, 12, 136-142. Showalter, SE. (2010). Compassion fatigue: what is it? why does it matter? recognizing the symptoms, acknowledging the impact, developing the tools to prevent compassion fatigue and strengthen the professional already suffering from the effects. Am J Hosp Palliat Care, 27, 239-242. Boyle, DA. (2011). Countering compassion fatigue: a requisite nursing agenda. Online J Issues Nurs, 16(1), 2-8. Franza, F., Buono, GD., Pellegrino, F. (2015). Psychiatric caregiver stress: clinical implications of compassion fatigue. Psychiatr Danub, 27, 321–327. Kelly, L., Runge, J., Spencer, C. (2015). Predictors of compassion fatigue and compassion satisfaction in acute care nurses. Journal of Nursing Scholarship, 47(6), 522–528. Abendroth, M., Flannery, J. (2006). Predicting the risk of compassion fatigue: A Study of Hospice Nurses. Journal of Hospice and Palliative Nursing, 8(6), 346-356. Meyer, RM., Li, A., Klaristenfeld, J., Gold, JI. (2015). Pediatric novice nurses: examining compassion fatigue as a mediator between stress exposure and compassion satisfaction, burnout, and job satisfaction. J Pediatr Nurs, 30(1), 174-83. Sacco, TL., Ciurzynski, SM., Harvey, ME., Ingersoll, GL. (2015). Compassion satisfaction and compassion fatigue among critical care nurses. Critical Care Nurse. 35(4), 32-44. Kim, S. (2013). Compassion fatigue in liver and kidney transplant nurse coordinators: A Descriptive Research Study. Progress in Transplantation, 23(4), 329-335. Aslan, Ö., Vural, H., Avcı, PY. (2003). Determination of the approaches of operating room nurses to ethical problems. Gülhane Med J, 45(2), 147–152. Aksoy, G., Kanan, N., Akyolcu, N. (2012). Surgical Nursing. İstanbul: Nobel Medical Bookstore. Taycan, O., Kutlu, L., Çimen, S., Aydın, N. (2006). Relation of depression and burnout levels to socio-demographic variables in nurses working in a university hospital. Anatolian Journal Of Psychiatry, 6, 100-108. Yeşil, A., Ergun, Ü., Amasyalı, C., Er, F., Olgun, N., Aker, AT. (2010). The quality of life scale for Turkish version of the validity and reliability. Archives Of Neuropsychiatry, 47, 111-117. Başkale, H., Günüşen, PN., Serçekuş, P. (2016). Examining the quality of life the nurses working in a state hospital and the factors affecting them. Medical Journal of Pam, 9(2), 125-133. Hyeon Ju, K., Heejung, C. (2012). Emergency nurses’ professional quality of life: compassion satisfaction, burnout, and secondary traumatic stress. J. Korean Acad Nurs, 18, 320-328. Burtson, PL., Stichler, JF. (2010). Nursing work environment and nurse caring relationship among motivational factors. J Adv Nurs, 66(8), 1819-1831.Beydağ, KD., Arslan, H. (2009). Factor affecting the professionalism of midwives and nurses working in obstetrics clinics. Fırat University Journals of Health Sciences, 3(7), 75-87. Karamanoğlu, AY., Gök Özer, F., Tuğcu, A. (2009). Evaluation of professionalism of nurses working in surgical clinics of hospitals in Denizli provence. Fırat Medical Journal, 14(1), 12-17. Kavaklı, Ö., Uzun, Ş., Arslan, F. (2009). Determination of professional behavior of intensive care nurses. Gülhane Medical Journal, 51(3), 168-173. Strasen, LF. (1992). Gender socialization and the ımage of professional nursing. the ımage of professional nursing; Strategies for Action. (1nd ed.). Philadelphia: J.B.Lippincott Company. Deppoliti, D. (2008). Exploration how new registered nurses construct professional identity in hospital settings. The Journal of Continuing Education in Nursing, 39(6), 255-62. Kahraman, G., Engin, E., Dülgerler, Ş., Öztürk, E. (2011). Job satisfaction of nurses. 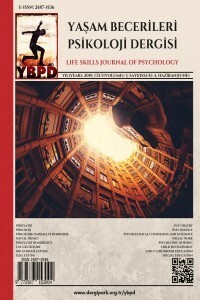 Dokuz Eylül University Journal of Nursing High School, 4(1), 12-8. Kavlu, İ., Pınar, R. (2009). The effect of burnout and job satisfaction on quality of life of nurses working in emergency departments. Türkiye Klinikleri J Med, 29, 1543-1555. Aydın, R., Kutlu, Y. (2001). Job satisfaction in nurses and parameters concerning tendency of interpersonal conflict and determining relations between job satisfaction and tendency of conflict. Cumhuriyet University Journal of Nursing High School, 5(2), 37-45. Erbil, N., Bakır, A. (2009). Development of a professional attitude inventory in the profession. International Human Sciences Journal, 6(1), 290-302. Aiken, LH., et al. (2001). Nurses’ reports on hospital care in five countries. Health Affairs, 20(3), 43-53. Duygulu, S., Korkmaz, F. (2008). Nurses’ organizational loyalty, job satisfaction and possible resignation from their hospital. Cumhuriyet University Journal of Nursing High School, 12(2), 9-20. Bozkır, G., et al. (2008). General High school seniors and male students in the health school view nursing. Journal of Science, Education and Idea, 8(1), 234-242. Korkmaz, F., Görgülü, S. (2010). Nurses’ views on nursing profession in terms of professional criteria. Journal of Hacettepe University Faculty of Nursing, 17(1), 1-17.